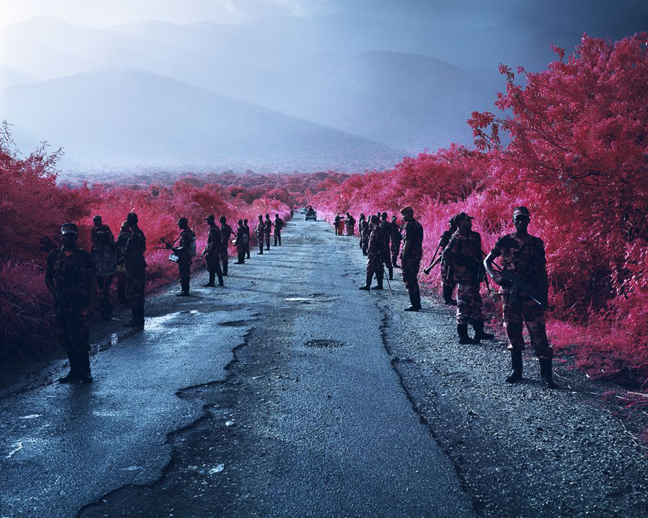 Foam presents The Enclave by Richard Mosse, a major multi-media installation which represented Ireland at the 55th International Art Exhibition – La Biennale di Venezia. 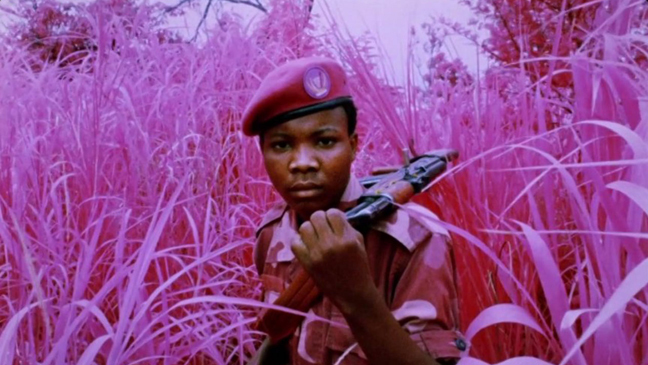 The installation, consisting of six large screens, represents the conflict situation in Congo and was shot with infrared film that was designed for camouflage detection resulting in vibrant, psychedelic magenta coloured sites of the jungle war zone. Besides the film installation, related photo works are shown. 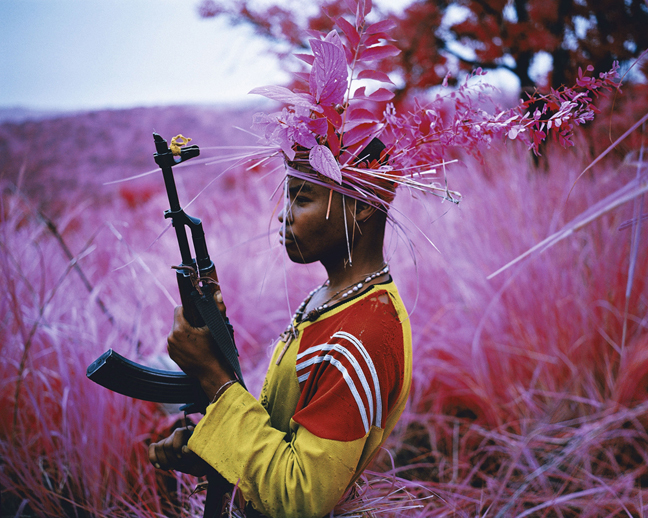 Throughout 2012, Richard Mosse and his collaborators Trevor Tweeten and Ben Frost travelled in eastern Democratic Republic of Congo, infiltrating armed rebel groups in a war zone plagued by frequent ambushes, massacres and systematic sexual violence. 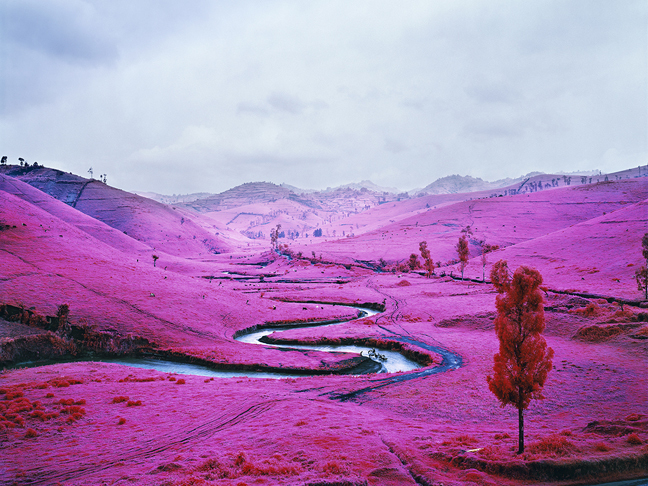 The resulting installation, The Enclave, is the culmination of Mosse’s attempt to rethink war photography. It is a search for more adequate strategies to represent a forgotten African tragedy in which, according to the International Rescue Committee, at least 5.4 million people have died of war-related causes in eastern Congo since 1998. A long-standing power vacuum in eastern Congo has resulted in a horrifying cycle of violence, a Hobbesian state of war, so brutal and complex that it resists communication, and goes unseen in the global consciousness. Mosse brings a discontinued military surveillance film to this situation, representing an intangible conflict with a medium that registers an invisible spectrum of infrared light, and was originally designed for camouflage detection. 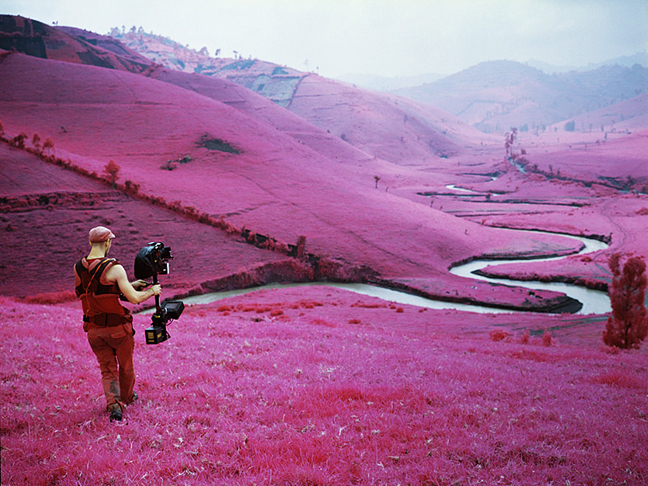 The resulting imagery, shot on 16mm infrared film by cinematographer Trevor Tweeten, renders the jungle war zone in a disorienting psychedelic palette. Ben Frost’s ambient audio composition, comprised entirely of recordings gathered in the field in eastern DRC, hovers bleakly over the unfolding tragedy.